Hard Hat, Upgrade and 5th Night Free with mainland air specials. Start from $762 per person, double occupancy. 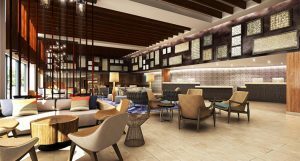 The Courtyard by Marriott Kaua’i at Coconut Beach is a lovely ocean front property nestled between the mountains and the ocean, the resort’s location on the beautiful Garden Isle makes Courtyard Kaua’i at Coconut Beach an ideal getaway. 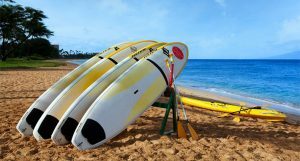 Guests can relax in style at the resort’s beautiful beach location in Kaua’i and enjoy breathtaking oceanfront views coupled with excellent service. The spacious guest rooms include high-speed Internet, refrigerators and private lanais. 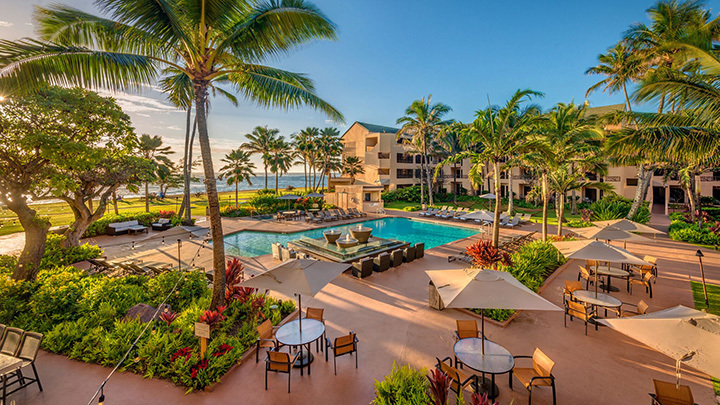 For those looking for relaxation, unwind in the Kaua’i sunshine at our sparkling pool and whirlpool surrounded by lounge chairs, hammocks and fire pits along Coconut Beach. Guests can also savor culinary delights and signature drinks or gather in their exquisite event space for a meeting, wedding or party. Step into the warm aloha spirit at our gorgeous oceanfront resort and spa. Starting from $762 per person, double occupancy with round trip air from select west coast cities and 3-night hotel stay. Guest(s) will receive complimentary upgrade from Standard View to Ocean View. 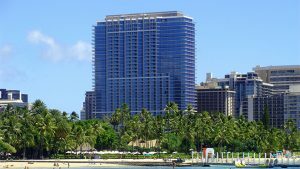 Starting from $797 per person, double occupancy with round trip air from select west coast cities and 3-night hotel stay. Guest(s) will receive every 5th night free. Minimum 5 night length of stay required. Starting from $976 per person, double occupancy with round trip air from select west coast cities and 5-night hotel stay. 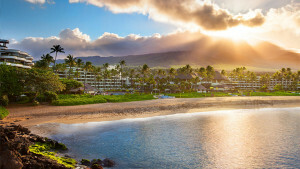 Sheraton Maui Resort packages with mainland air.Starting from $943 per person, double occupancy.